The quest that rewards this pet can only be picked up and turned in at the Lunarfall Inn (A) or Frostwall Tavern (H) in a player's garrison. Different NPCs will visit the Inn or Tavern and offer a dungeon quest each day. The quest that rewards this pet can only be completed in Heroic mode Shadowmoon Burial Grounds. After defeating the second boss of the instance, players will find an alter with a lootable arrow. A bird to kill birds. -Quite an effective and powerful one-two hit with a 200% chance to hit first slot allows you to be effective even against blinds. -Moonfire's weather effect buffs the other 2 magic attacks with 10% added damage. -While not geared with Darkness to make Nocturnal Strike a 100% it still has a Peck to make Aquatics die fast. -If you are looking for a bird with different abilities to stack with other pets this is the one for you. One of my favorite pet battles, part of my undefeatable Garrison team with Graves and Iron Starlette. Great on Menagerie quest and against some Pandaren Spirit's. Besides that, looks amazing!! The hunting-bird models are a little been-there-done-that, given there's no real distinction between an owl, parrot & hawk (! ), but the ethereal texturing of the Companion is beautifully done. What's most important is that this may be the best Magic pet. Healthier than just about any of its family, it can 2-shot any Flying pet so far, and holds up well generally. With the Feline Familiar for pet training, this team can hardly be beat for efficiency. visually this is a really beautiful pet to follow along on a summon. Wow I must have this pet! I am a big fan of Moonlight teams for PvP, and this pet adds so much I think. Nice magic attacks, and a stun. Also, it will be able to refresh Moonlight. Celestial Dragon, Xu-Fu and Sentinel's Companion. I can see the hurt now! This pet is obtainable if you have an Inn (Level 1 is fine) in your Garrison. Each day, a random NPC will offer a quest. 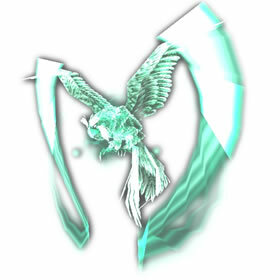 If you are lucky enough, you will have Cowled Ranger appear and offer you a quest called The Huntress. This quest will have you complete Shadowmoon Burial Grounds (Heroic) and loot an item off of an alter after the 2nd boss.